Jimmy McCord, President - McCord Engineering, Inc.
Today we begin a series of videos featuring our team of hard working, dedicated employees. 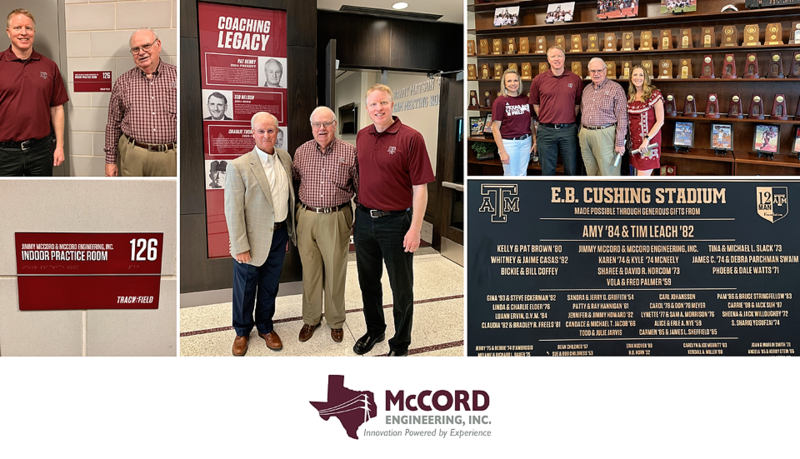 It’s only appropriate to begin with the founder and owner, Jimmy McCord, P.E ., who built his company utilizing knowledge, dependability, honesty and a strong commitment to provide outstanding service to his clients. Technology has advanced, but the foundation on which he built MEI has remained the same.